The properties of the material itself must be achieved through proper heat treatment. According to the performance requirements of injection mould materials, heat treatment methods are mainly high-temperature quenching, cryogenic treatment, high-temperature tempering, and repeated many times, through these different treatments, to achieve the best injection mould performance. After quenching, the high-alloy steel has a martensite transformation point higher than room temperature. In order to increase the hardness and ensure dimensional stability, cryogenic treatment and high-temperature tempering are usually performed to ensure that the retained austenite is fully converted to stable. The vacuum-quenched injection mould part were calibrated between room temperature and 100°C and then placed in a cryogenic tank at -140°C for deep cooling. 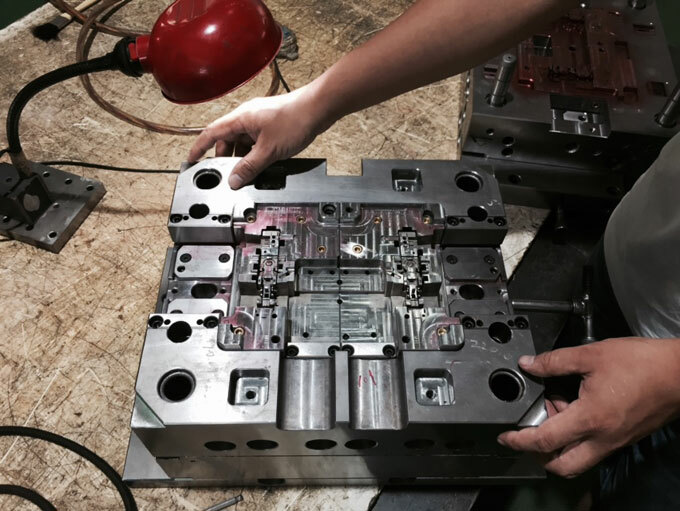 The injection mould part can be hot-cold between -140°C and 230°C without leaving the furnace to ensure that the injection mould part will not be deformed or cracked by entering or leaving the furnace. At the same time, the use of nitrogen protection also avoids oxidative cracking of the injection mould part during tempering. Currently for D2 materials, we usually complete 3 cycles of cryogenic at -140°C to 230°C in cryogenic equipment. For steels tempered at 230°C, such as SAM97, ELmax, ASP23 and so on. we used a vacuum tempering furnace. After vacuuming, 99.999% of high-purity nitrogen was added as a medium, and convection was established by changing the direction of blowing, ensure the injection mould part temperature uniformity, while saving the tempering time. 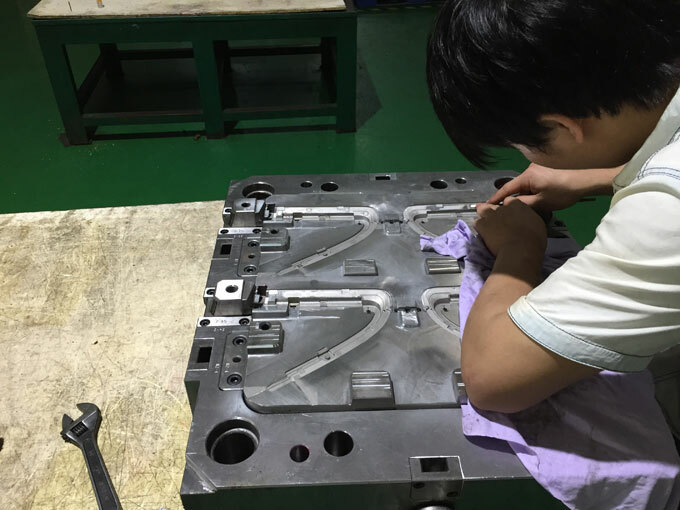 In order to improve the quality of injection mould, while improving the quality of quenching, tempering, and cryogenic treatment, we also paid full attention to the other parts of the injection mould part. In the past, the view that the cleanliness of heat-treated parts was not related to processing has been abandoned, and clean pretreatment has been added. The parts that have not been introduced into the furnace are vacuum-removed, degreased, and dried by a vacuum cleaner. The removal of various types of processing oil and debris from the injection mould part ensured that the in-furnace injection mould part would not bring in other impurities, avoid impurity decomposition at high temperature heating, contaminate the furnace environment and the injection mould part themselves. 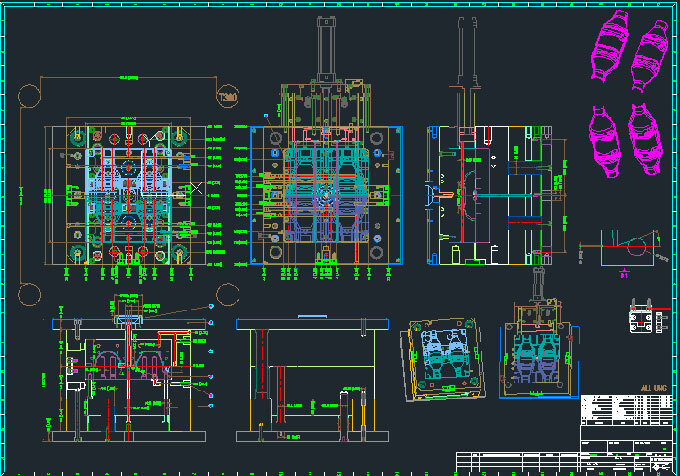 Microscopically, the perfection of the cleanliness and the processing quality of the injection mould part is ensured, and the service life of the injection mould part is improved.